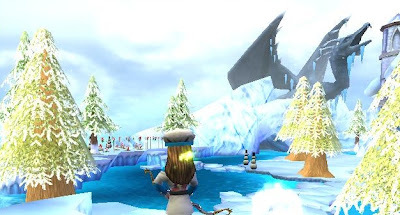 This week I would like to show you guys my ice house. This is the first "theme" house I have made, meaning I didn't just decorate it, I actually made it into something. 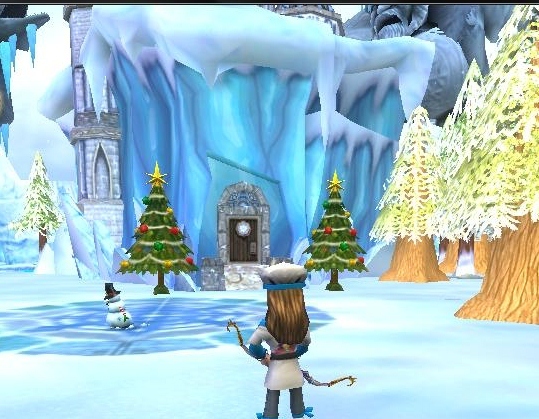 And I figured a great theme for an ice house would be The North Pole. 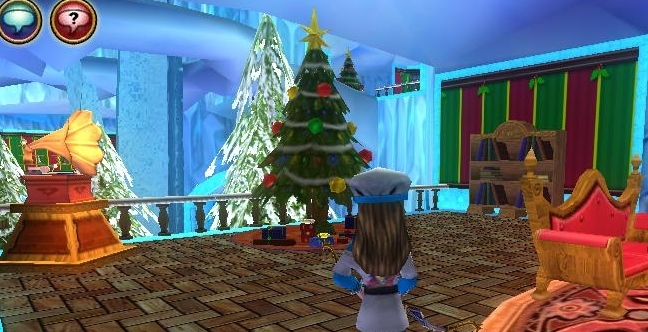 I got the idea for this when Kingsisle released the Christmas decorations back in December, and I have been working on it on and off ever since. I finally finished it last week. The first thing I had to do was decide which rooms I wanted, and where in the house they would be. I think that is the part that was the easiest. The ice house has 7 rooms, the bottom where you enter, 4 rooms off to the left and 2 rooms off to the right. 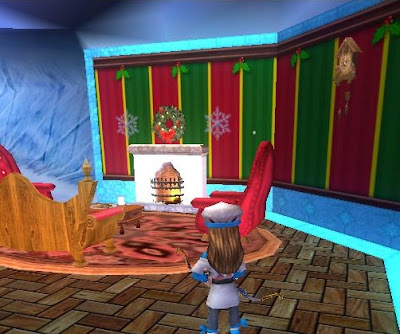 I eventually decided to make one side into the area where Santa and Mrs. Claus live and the other side is the mail room and workshop. 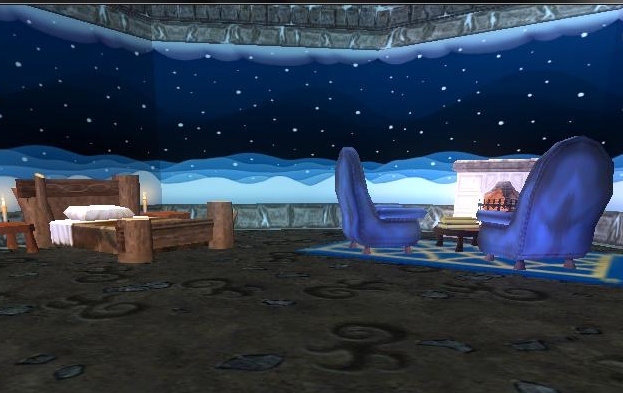 After I decided on the rooms it took me awhile to get it decorated the way I wanted it. It still isn't completely done. I want to replace some of the items with other things. But I am going to have to do some farming, either in the bazaar or farming bosses. Anyway, enough rambling. Here are some pictures. You can click on them to see larger versions. The view to the left of the spiral door. The view off to the right, where the frozen apple orchard is. The front door. You can see Sam the snowman in this picture. The peppermint garden with scare-snowmen. This is the outdoor cave where all of the wrapped presents are stored. 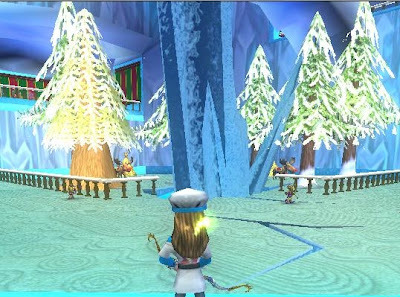 When you enter, the first room you see is where the reindeer live. A view of the other side of the livingroom. The bedroom, which is off to the left of the livingroom. the mailroom. You can see the Naughty and Nice list on the lectern. 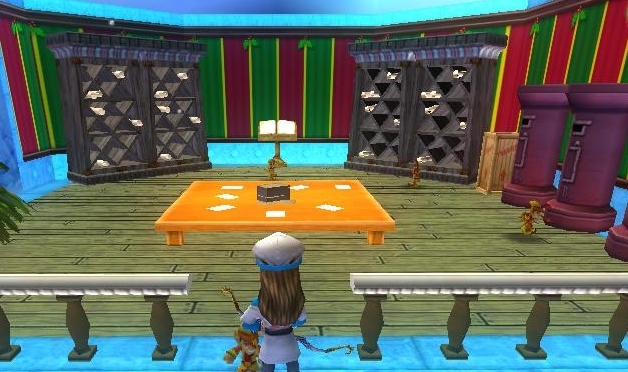 And the last room is the workshop. This is where Buddy the Elf works. It is also my favorite room. 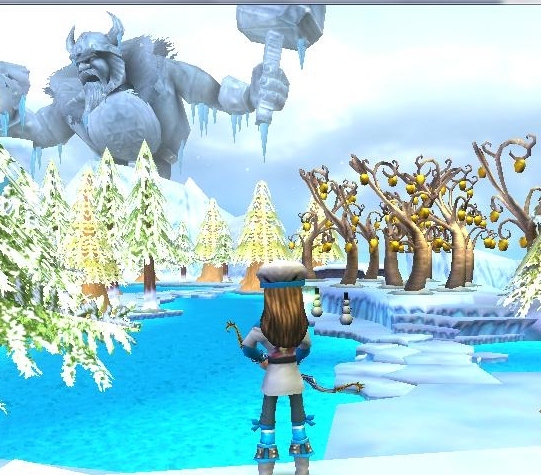 So that's my version of the North Pole. I wish I could think of a way to make a sleigh. If you have any ideas for me, feel free to post them in the comments. Also, don't forget to check out the contest I am having. You can find the link at the top left side of the page. I really like it,I really like your barriers you have on each of the edges on it floor! Awesome! i think...you should make on spring a life house(place)with pretty flowers,i think that would be awesome !